Blah. Blah blah. Blah blah blah. Oh wait. I'm supposed to be writing something fun and exciting and cool and blogger-y here, not just going with my dummy text! Yes, all of my dummy text in any form of writing consists of some form of "blah blah." "Blah blah exploring description blah," "Blah blah something happens here blah de blah." You know, inspiring stuff. 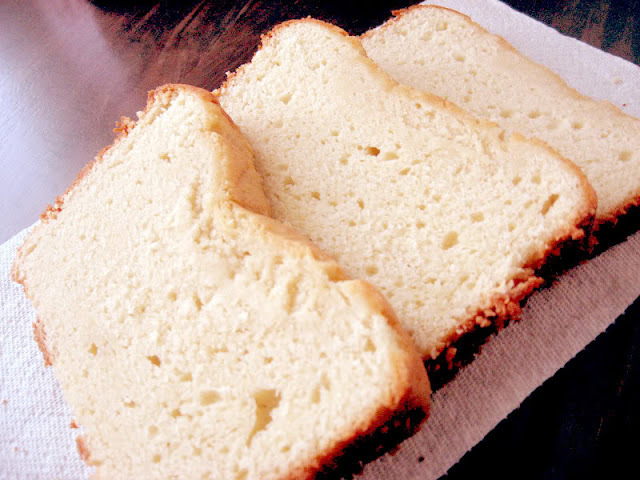 That said, this pound cake is actually inspiring. Well. Inspiring may be too strong a word for something like pound cake, but hey, we're gonna go with it. GO! WITH! IT! Can I share something kinda weird? I was eating some of this the other day, and decided I wanted to toast it and put some butter on it, just to see. 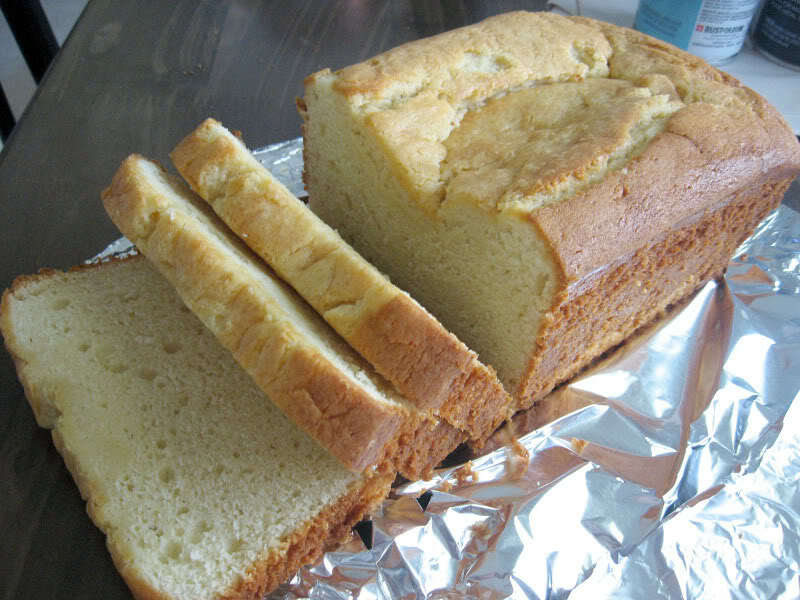 I thought to myself, is this pound cake blasphemy of sorts? And then my next thought, literally, was, "It's my pound cake, I'll do what I want!" Yes. I have to justify things like eating food "weirdly" for myself. I don't know. Don't try to figure it out. Also? 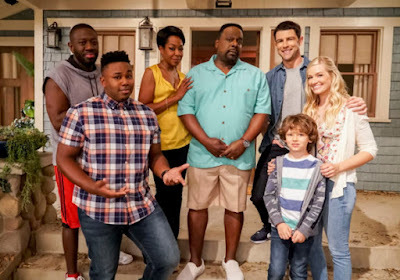 The toasted and buttered? Was pretty good. So there! Anyway. Yes. Cream Cheese Pound Cake. It's moist, it's yummy, you can eat it for a breakfast or a dessert, particularly a dessert if you put some fruity or chocolatey stuff on top. But hey, it's perfectly yummy on its own as well. It's versatile! 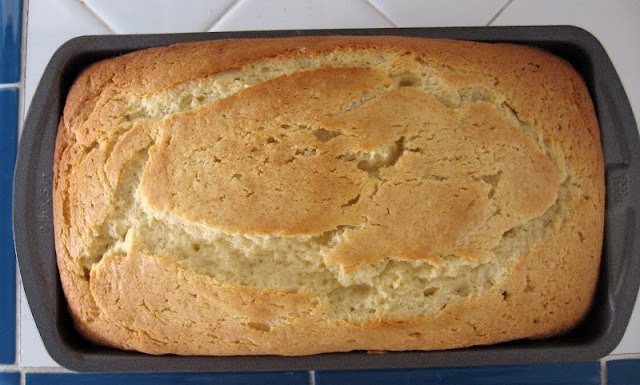 Also, it turned out exactly how it was supposed to, which does not always happen with bread-ish type things for me, when oftentimes they can turn out sort of dry even when I follow the recipe. Not here! This recipe is legit. And should I expect anything less from Joy the Baker? No. No I should not. I finally got her cookbook recently, and you should expect to see many more recipes from it in the future, I'm sure! Preheat oven at 325F, making sure a rack is in the center. Grease and flour a 9x5 inch loaf pan for later. 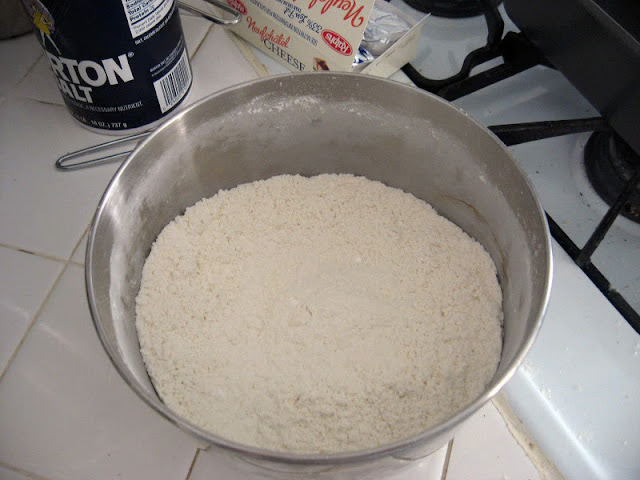 In a medium bowl, whisk together the flour, baking powder and salt and set aside for a bit. 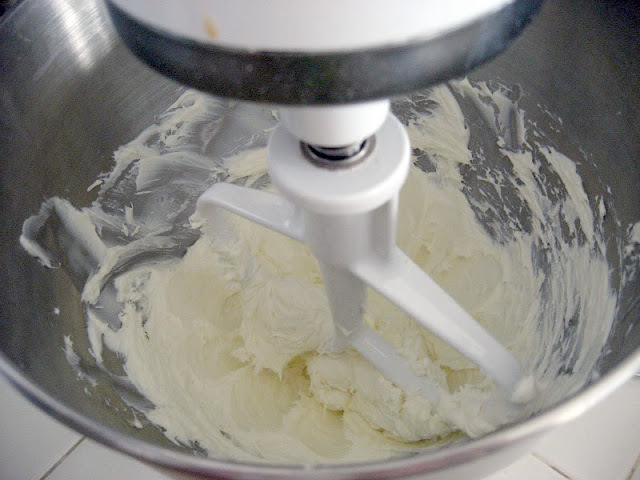 Either in your stand mixer, or in a large bowl with a hand mixer, beat cream cheese until soft and pliable. Add butter and sugar and beat until fluffy, approx 3 minutes. 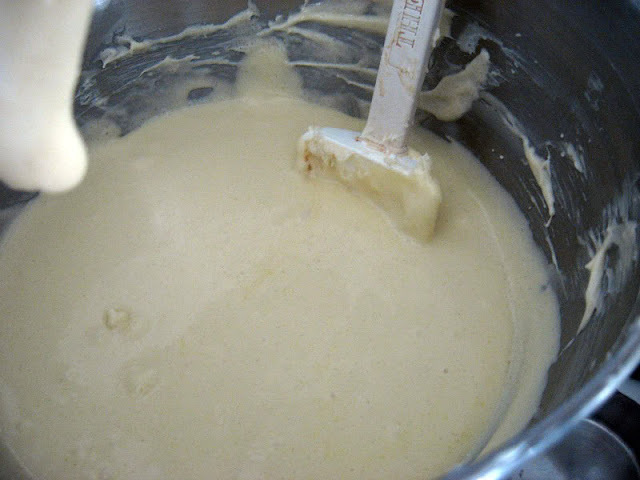 Add the vanilla and stir until blended, then beat in the eggs one at a time, beating at medium for 1 minute each. 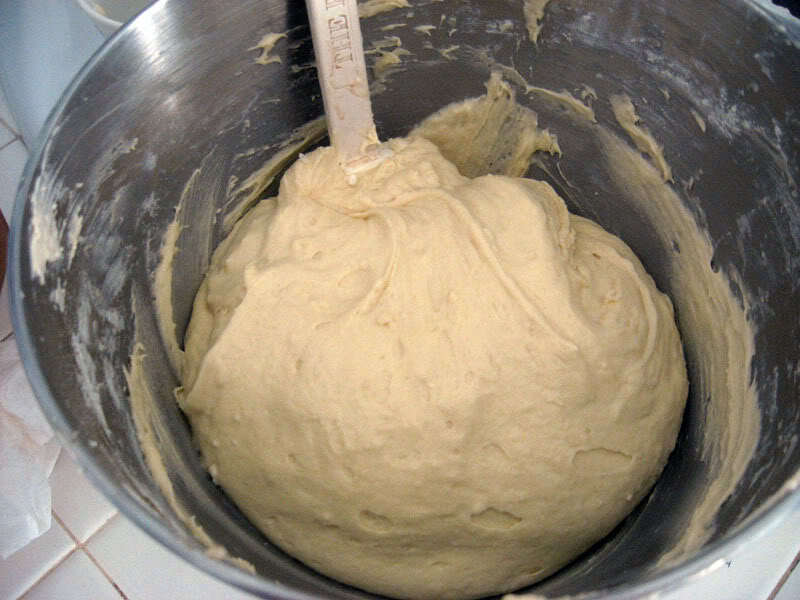 With the mixer on low, slowly add in the flour mixture from earlier and beat until just incorporated. 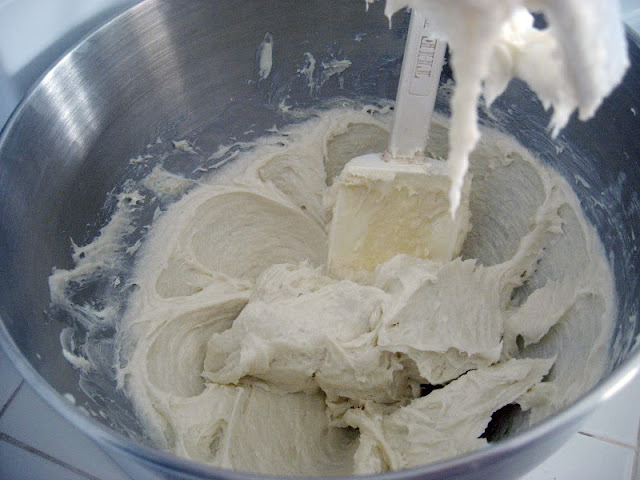 Stop your mixer at that point and fold together the batter with a spatula. Spoon into your prepared pan from earlier and bake for 30 minutes. After that, rotate the cake, and if it's browning too quickly, move to an upper rack (I did not have this problem). Bake for another 30-35 minutes until a toothpick inserted into the center comes out clean. 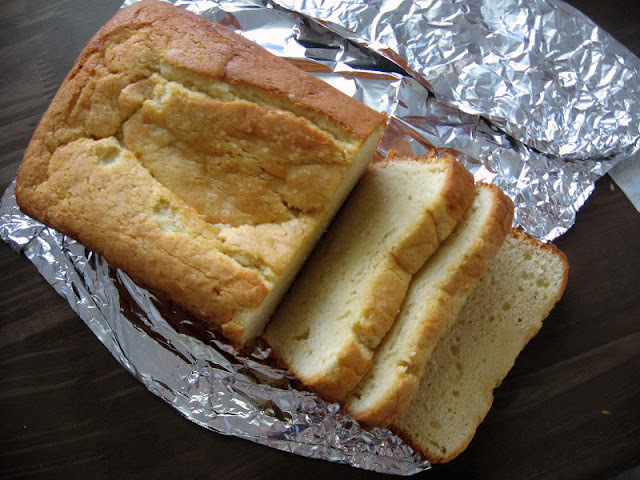 Let the cake cool in the pan for 20 minutes, then transfer onto a wire rack to cool completely. It should last for up to 4 days at room temperature, well wrapped. The dry ingredients get whisked together. Beat that softened cream cheese until it's smooth. Add in the butter and sugar. 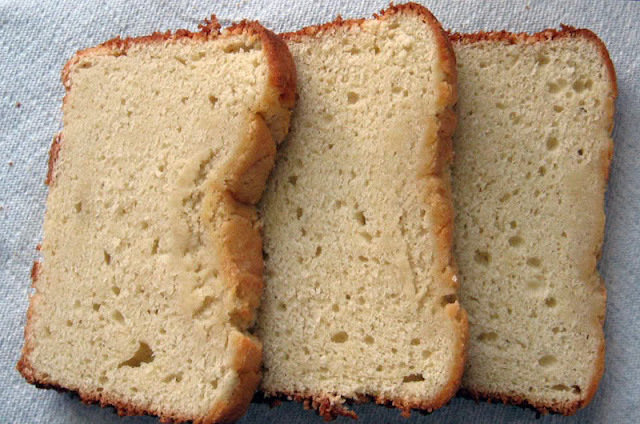 You'll likely need to scrape down the sides of your bowl quite a bit. After adding in the eggs and vanilla. And finally, after that flour mixture has been beaten and folded in. 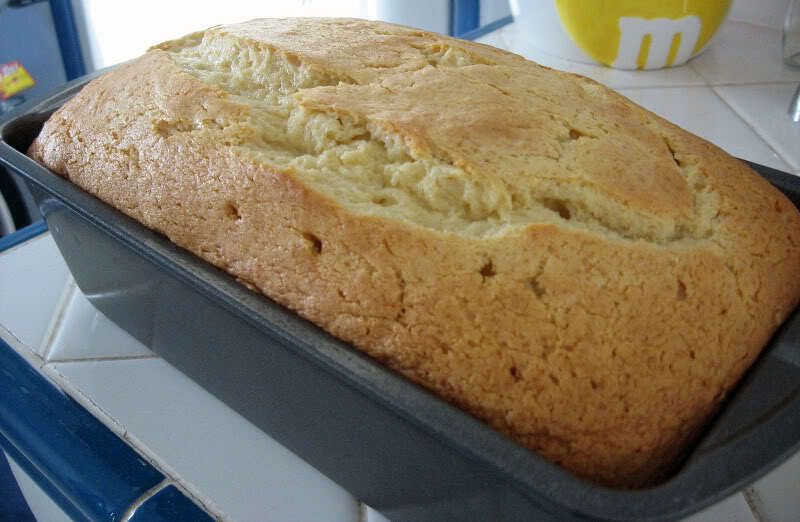 Bake it up, and here's how it should look out of the oven! Let it cool in the pan, then on a wire rack. Cut it up. Enjoy. Wrap in foil (or whatever you prefer!) to keep it fresh. Moist and delicious! You see those extra moist bits in the middle? My favorite part.